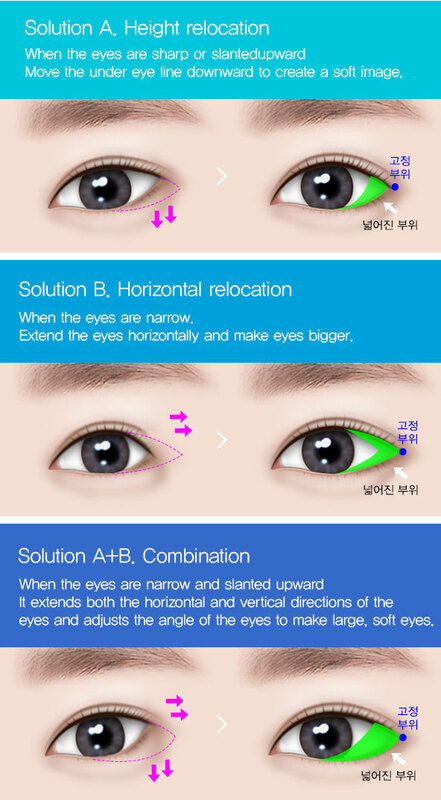 Three-dimensional eye line to make eyes clear This is Braun's unique technology that is completely different from the traditional canthoplasty. 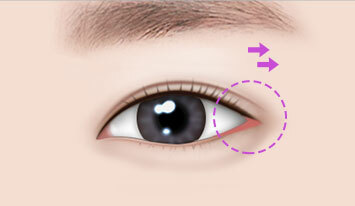 The Asian eye type often features an upward slant when compared to the Caucasian eye, called the ‘Mongolian slant’, which gives a hostile and dull impression. Braun’s lateral canthoplasty with eyelash retention is a more advanced technique than Braun's conventional eye slant reduction surgery. It makes the length of the eye longer and reshapes the eyeangle naturally to make eyes bigger, more clear, and attractive. It has no scarring and preserves the eyelashes. It is Braun’s unique leading surgical method of canthoplasty. 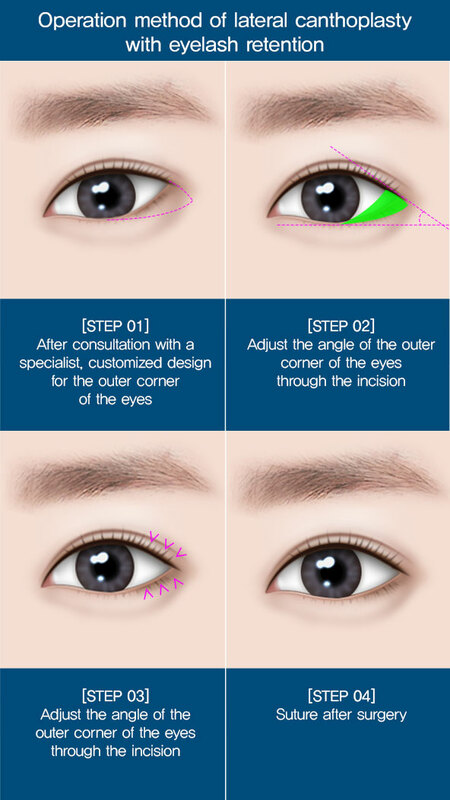 You can change your impression simply by eshapingthe eye angle, creating big anddeep lines. with a covered lateral area. 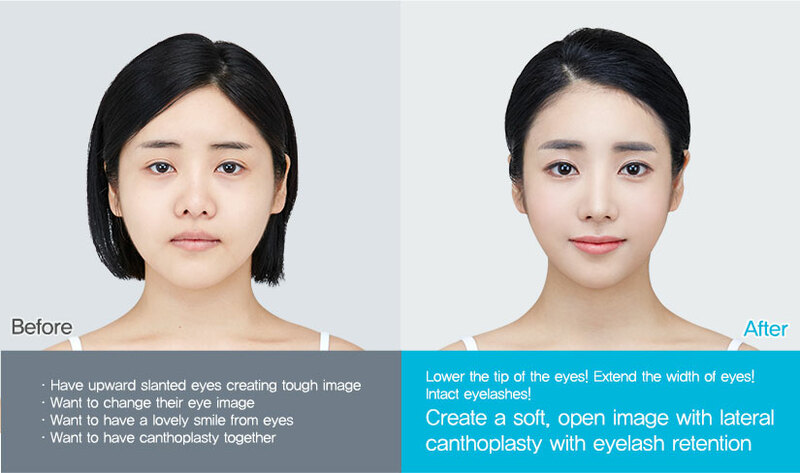 Completely fixedthe issue of the existing eye surgery, the absence of eyelashes for the outer cornerof the eyes due to damage from the surgery. 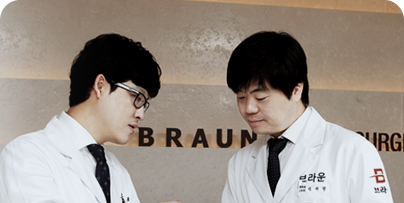 Based on many years of know-how and research, Braun's medical team has developed our own technique. It completes the eyes that fit the face. 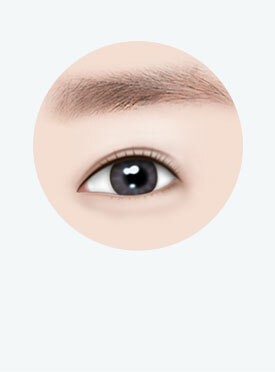 There is no scar and the eyelashes are intact, making it natural. High possibility of adhesion due to simple incision Adhesion It is fixed to the periosteum in the eye and is unlikely to come undone. "The eye that determines the image of the whole face. Solve it at once!" 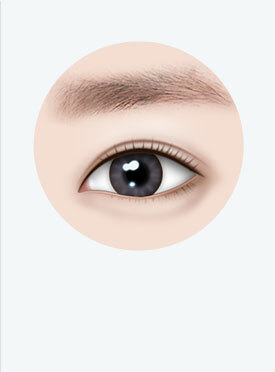 With Braun's delicate technology, you can keep your eyelashes intact and have natural big eyes. No need to worry about adhesion because the ligament of eyes is relocated and fixed. No scar remains in the conjunctival incision in the eye. 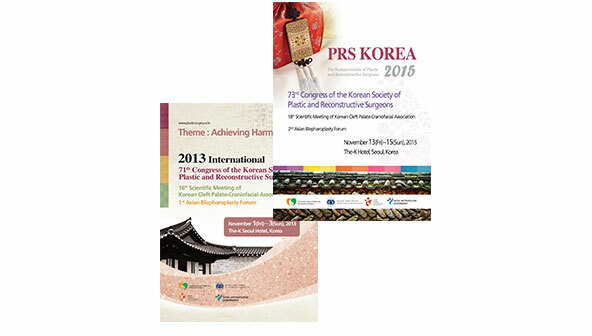 Because of our abundant know-how, the operation time is short and it is possible to recover quickly. Unlike simple canthoplasty, it enlarges the length and width of the eye, and at the same time, it extends the eye tail and one is reborn with attractive and big eyes. 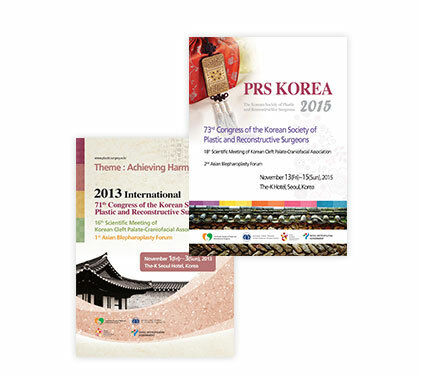 Average 5 ~ 7mm enlargement is possible and it is natural as it adjusts the fixed area. The angle of the eyes can be adjusted givinghigh satisfaction. 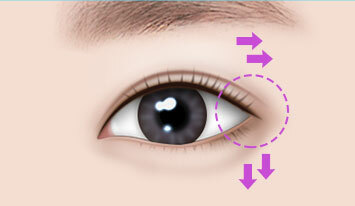 The Asian eye type often features an upward slant when compared to the Caucasian eye, called the ‘Mongolian slant’, which gives a hostile and dull impression. Braun’s lateral canthoplasty with eyelash retention is a more advanced technique than Braun's conventional eye slant reduction surgery. It makes the length of the eye longer and reshapes the eyeangle naturally to make eyes bigger, more clear, and attractive. It has no scarring and preserves the eyelashes. It is Braun’s unique leading surgical method of canthoplasty. 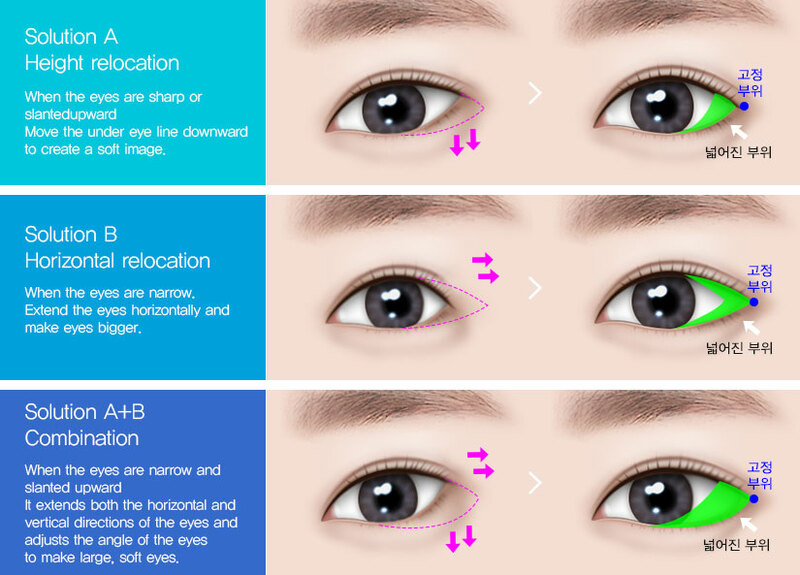 You can change your impression simply by reshapingthe eye angle, creating big anddeep lines. the image of the whole face. Solve it at once!"